Gone are the days when a new operating system boasts hundreds of new features, as was the case when Mac OS X was in its adolescent years. 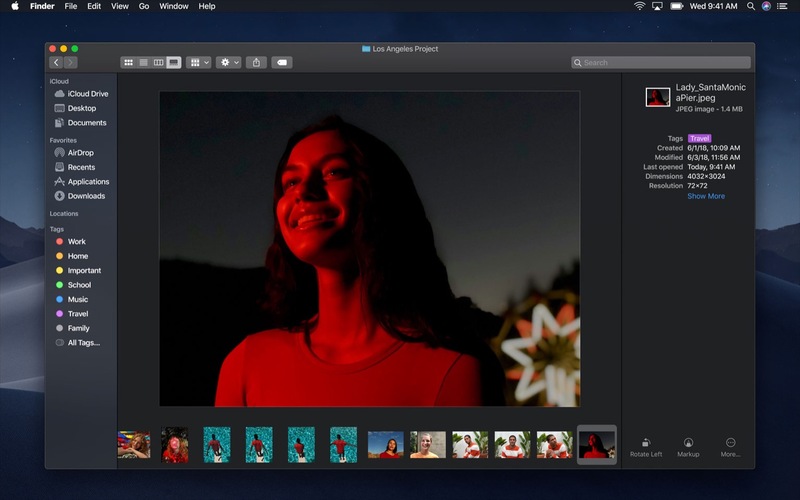 Now Apple highlights a dozen or so marquee features for new versions of its desktop operating system even though there are plenty of tweaks under the hood. 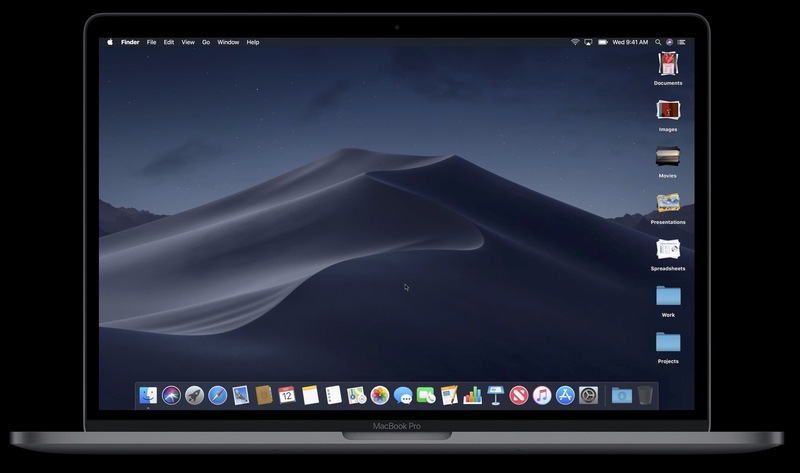 Last week's release of macOS Mojave solidifies the Mac's software and brings a number of interface changes, some new apps, and new features in the Finder. 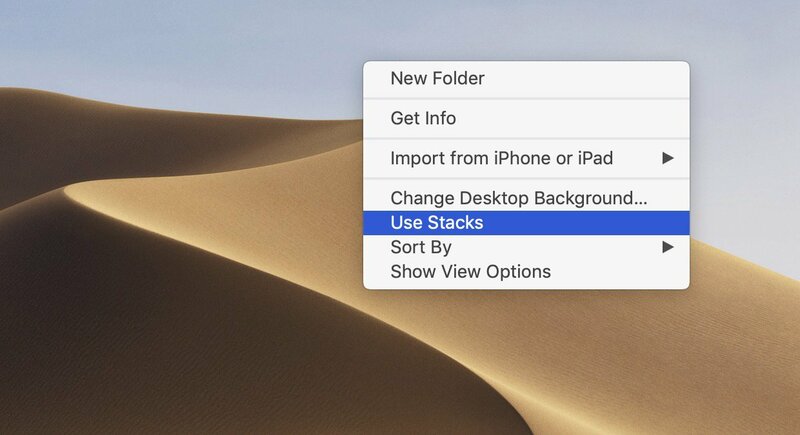 Here's what you need to know about Mojave. 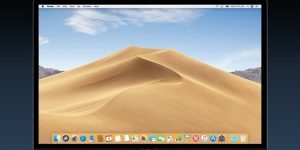 macOS Mojave is compatible with Macs introduced in 2012 or later, as well as some Mac Pro models going back to 2010 if they have the appropriate graphics card. Your Mac needs at least 2GB RAM and you'll need 12.5 GB of free space (or 18.5 GB if you're upgrading from OS X Yosemite or earlier). Download the Mojave installer from the Mac App Store - it's free! The biggest, most visible new feature in Mojave is dark mode. Long appreciated by coders, dark mode presents a black or dark gray background in app windows and interface elements (such as menus and dialogs) with white or colored text. This is the default interface in some apps when you're in edit mode; consider the Photos app, for example. When you are editing graphics or video, it's helpful to have dark backgrounds so you're not distracted and your eyes aren't overwhelmed by the light interface. But for some apps, especially those where you work with text or numbers, it can be hard to read. To each their own; switch it on in the General pane of System Preferences to see if it appeals to you. If not, turn it off. I wish dark mode was available on a per-app basis. A handful of apps offer this option, but personally, I would prefer it to be available as a choice in macOS itself. 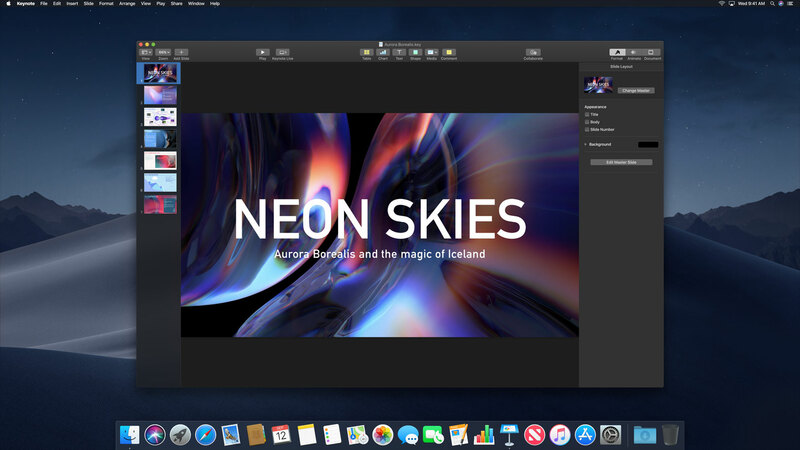 To complement dark mode, Apple has tweaked some desktop images so they can shift in intensity from day to night. This can be helpful if you spend extended periods of time in front of your desktop; having the background image get darker means you'll be less distracted when there's less light. However, there are only two of these dynamic desktop images; perhaps third-party developers will present more options in the future. To choose one of these, go to System Preferences > Desktop & Screen Saver. Click the Desktop tab, then Desktop Pictures. In the Dynamic Desktop section, you can choose one of the two options. 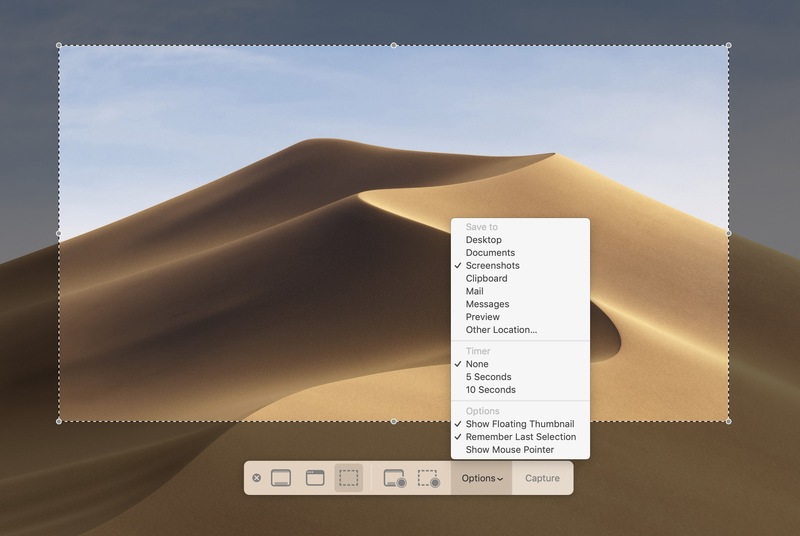 If you like the default Mojave desktop pictures, you can also choose one of the static versions - light or dark - in the menu that displays once you've selected it. Lots of people store files on the desktop; it's an easy location to drop files you're working on, to drag them from emails or messages, and to use as a holding area for files that you will later delete or store somewhere else. But many people don't clean up the Desktop often and it can be hard to find files there. The new Stacks feature helps you by organizing files on the Desktop by type. Right-click or control-click on the Desktop and choose Use Stacks to activate this feature. When you turn this on, Mojave moves all your files into stacks by file type: documents, photos, music, etc., with folders staying as is. To access any of these documents just click on a stack. When you're finished the stack closes again. Apple has made some big changes to the Finder, providing a number of features that give you more power to act on your files. Starting with Gallery View, which is an enhanced version of Cover Flow view, you can access additional metadata (information about files such as their size, the dates they were created or modified, which apps made them, etc. ), giving you the option to perform actions on files without opening an app. For example, this will be useful if you need to quickly scan a folder full of photos or check out a bunch of audio or video files without opening them. Quick Look, which provides the ability to view many types of files by selecting them and pressing the space bar, has been enhanced. Now you have a full palette of editing tools that allow you to mark up files, crop, rotate and annotate images, or even trim audio and video files. In my line of work writing about the Mac and iOS, I take a lot of screenshots. These are necessary to show the reader what I'm talking about, as you can see in this article. But any user may also need to take screenshots from time to time. You may want to save an image of a web page for later reference, or grab a paragraph of text in image form to post on social media, or capture an image of an app you are using when you need technical support for example. 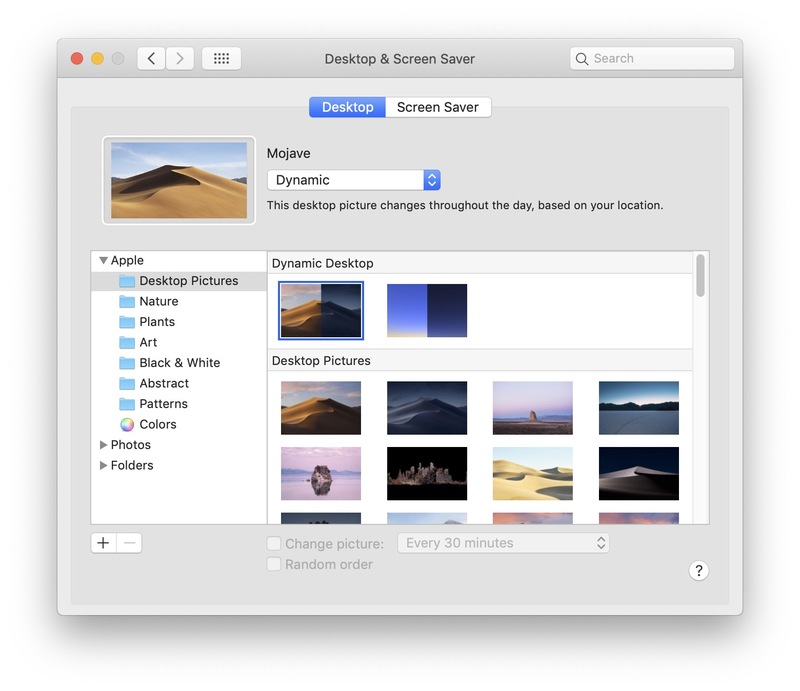 The new screenshot tool in Mojave is everything you have ever wanted. If you press Command-Shift-5, you see the new screenshot interface, which lets you select the entire screen, a window, a region and more. You can also set a timed screenshot, record the screen, and choose where to save your screenshot. 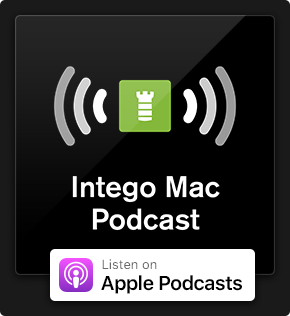 Apple has started porting some of its iOS apps to the Mac and we have four such examples in Mojave. The News, Stocks, Home and Voice Memos apps are now available for you to use on the desktop. These all function similar to their iOS siblings. Stocks and Voice Memos were updated substantially in iOS 12 also. 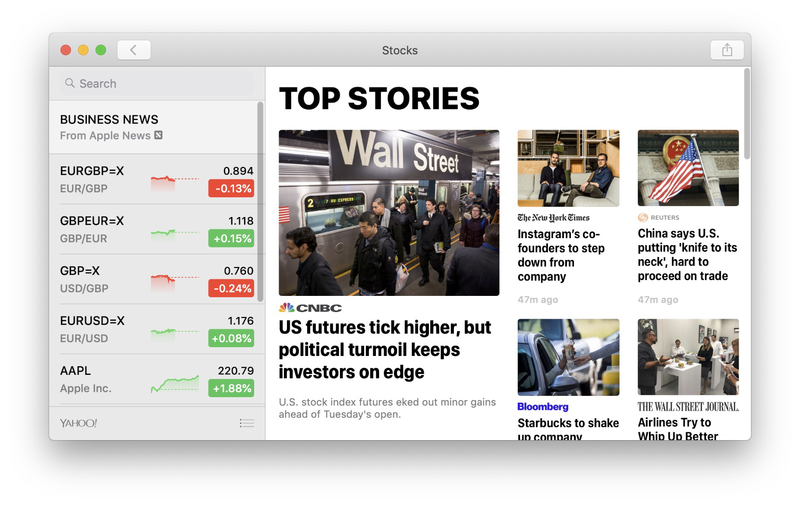 For example, Stocks now shows a lot more news and displays more information, making it easy to check in on the market at a glance while also serving as a hub for business and financial news. 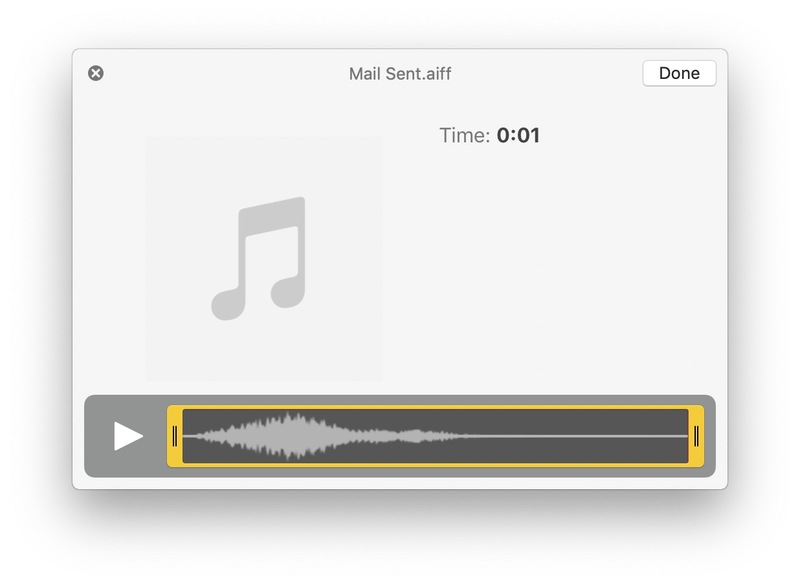 Voice Memos now saves its recordings in iCloud, rather than in iTunes, as was the case previously with the iOS app. 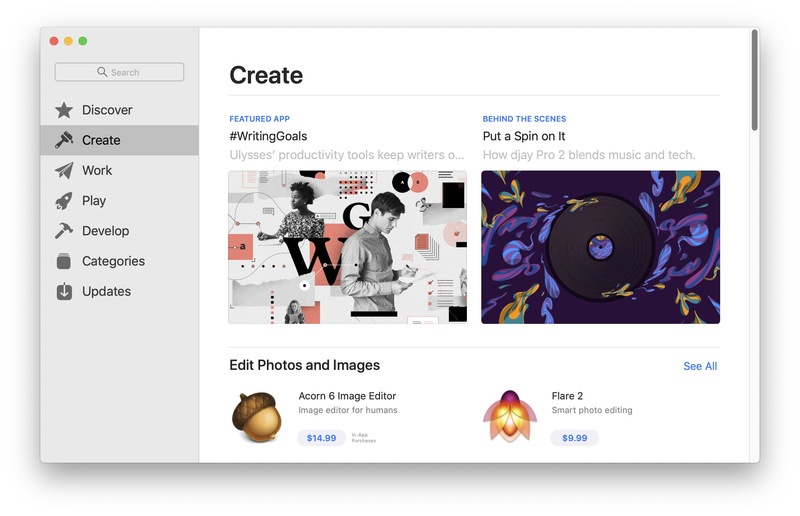 Finally, Apple has performed the first major refresh of the Mac App Store since its inception. The Discover section highlights best-selling apps, and other sections such as Create, Work, Play, and Develop allow you to explore the categories that interest you most. One change to be aware of: software updates for macOS will no longer be available in the Mac App Store, but rather in the Software Update pane of System Preferences. 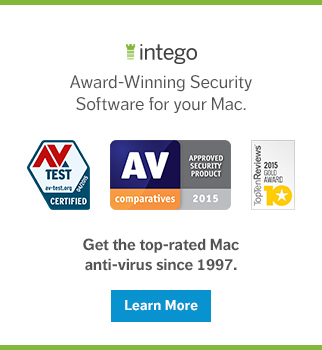 You can choose to have your system software updated automatically by checking Automatically keep my Mac up to date. There are more automatic update options available when you click Advanced. macOS Mojave has much more to explore, and we'll have an in-depth article about its security and privacy features soon. So far, it's been stable, though I've seen a lot of slowdowns when performing actions in the Finder, mounting disks, and with some apps. As always, there will be a .1 update fairly soon and if you're hesitant, you might want to wait for that. If not, it's certainly safe to take the plunge now; just make sure to back everything up before you install Mojave. This entry was posted in Apple, How To, Software & Apps and tagged Apple, Mac, Mac OS X, macOS, Mojave. Bookmark the permalink.